For the vintage car collectors, the 1950’s Ferrari has a special meaning, including 1953 when significant models came on the road, many being one-off editions. In the past, we have shown you mentionable auctions of Ferraris such as the 1953 Ferrari 375 coupe, which went on the market for $2 million, and the 1953 Ferrari Mille Miglia Berniletta which was looking at $4.3 million at the time of it’s auction. Now a one-off 1953 Ferrari 250 Europa Coupe Vignale is set to go under the hammer at the upcoming Bonham’s Quail Lodge auction in August this year. The reason why this particular edition marks a landmark amongst competing Ferrari models in Italian designing history, is that the coach work had been created by the noted Giovanni Michelotti for Vignale, as an unique offering from the house of Ferrari. However, there is no word on how much this exclusive edition car will finally bring at the auction event. 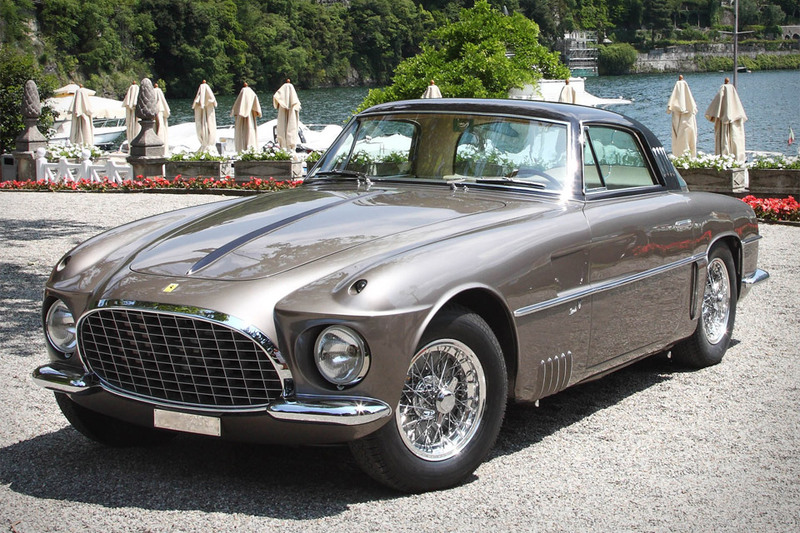 This 250 Europa Coupe was brought into Northern America by noted importer, Luigi Chinetti. Impressed by it’s architecture and external beauty, Chinetti took it to the 1954 New York Auto Show held at the Madison Square Garden. There were many more accolades the car received through the later years, and was hopefully retained within the American borders till 2009. Then came a Swiss buyer, who also took a liking for the exquisite design and special craftsmanship of this vehicle, and eventually went to win numerous awards. The foremost would be the Pebble Beach Concours d’Elegance and Ferrari Club of America National Concours shows, where the ‘Best of show’ and the First place in the shows were won by this 1953 Ferrari 250 Europa Coupe Vignale. Over the years it’s existence, the car underwent large bouts of wear-and-tear, and hence needed extensive restoration. The tobacco and bruno siena shaded upholstery with the matching color tone along the body, needed a very precise restoration and hence a decent amount of resources from the Swiss owner’s end. However, the person who takes up this vehicle now, will be buying into the exact version of the car, as it had first come to America in 1954. The 250 series is known to be perhaps the most intriguing series from the house of Ferrari. Most of this special series has received extremely rare marquetry, and the number of units for each rather limited. Taking that factor into consideration, this Ferrari Europa Coupe should be the envy of many collectors at the August Quail Lodge auction by Bonhams.